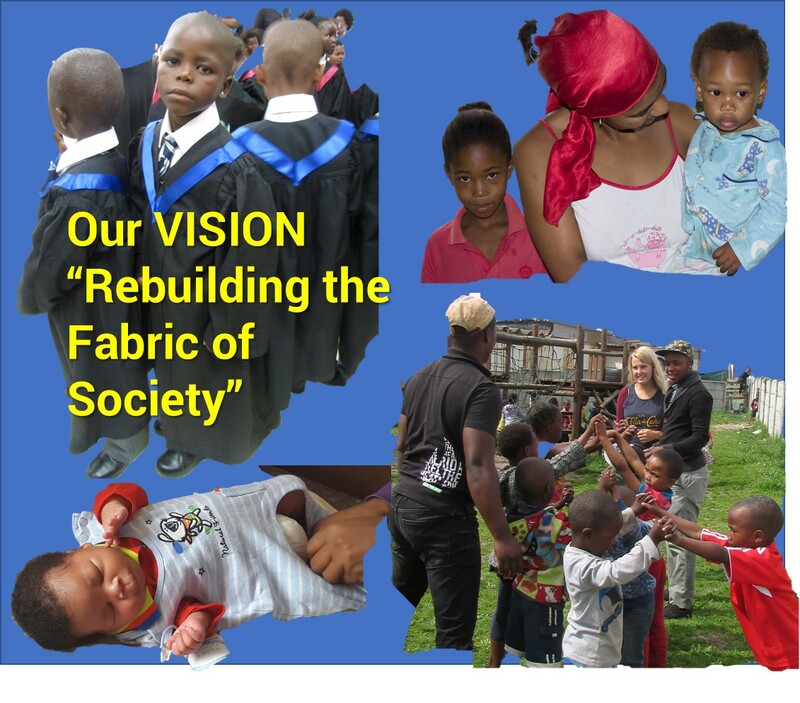 To rebuild the “fabric of society” in the poverty ravaged communities of the Overstrand by improving the “quality of lives” of Orphans, Vulnerable Children and Disadvantaged Families. To rebuild family structures and restore human dignity by providing disadvantaged families with parenting, life skills, psycho-social counselling and “early childhood development” training and support, to reduce poverty, malnutrition, hunger and child mortality, and prepare our children for school and the opportunity to participate equally in all aspects of life in the future. Please Consider Making a Donation - with more FUNDS we can provide more orphans and vulnerable children with support and caring !